Ever wonder why you always get “stuck” with a middle seat while on official travel? There are several variables that can lead to a middle seat. While online reservation systems provide travelers with the ability to view and reserve commercial travel, they do not control airline seating. Commercial airlines control the airline inventory and seating that appears in online. Limited supply and high demand of flight inventory make it difficult to obtain a “good” seat assignment in advance. It’s an industry practice to block more and more “preferred” seats such as window, aisle, and bulkhead seats for pre-assignment. These seats are then offered to frequent flyers, handicapped travelers, and unaccompanied minors or sold through upgrade fees or for higher cost fares. Did you know that an airline could provide confirmed reservations without providing specific seat assignments? Whenever possible, make sure you are booked and ticketed with a seat assignment prior to leaving. • Book reservations as far in advance as possible. The earlier you book, the more likely preferred seats will be available. 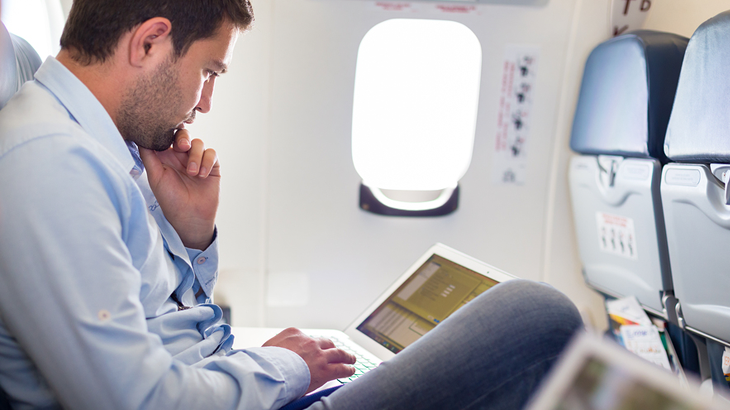 • Review the email itinerary to ensure that an aisle or window seat was confirmed. • If you can’t confirm an aisle or window seat, check seat availability via airline website or contact airline directly. • Enroll in frequent flyer programs. Status in frequent flyer programs often gives travelers better seating options. • If available, check in on-line the night before your flight. Many airlines open blocked seating as early as 24 hours in advance of scheduled departure. • Arrive at the airport early. The airline may release pre-assigned and preferred seats the day of the flight, which would allow you to select a seat at no additional cost. Also, fellow travelers may have changed their seat assignments since you last checked seating options, so better seats may be available. Some airlines may also sell preferred seats for a small upgrade fee when you check your baggage. If you chose to take the upgrade, you are responsible for the additional cost.